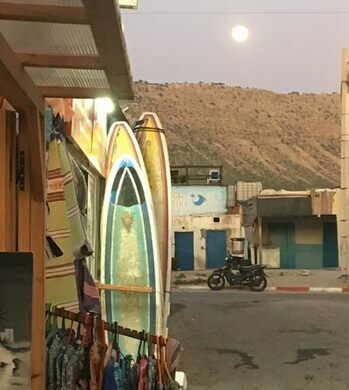 Hidden behind mountains in Morocco, a remote town hides a thriving surfing community. Nestled down the mountain road a mere 90 minutes from both Agadir and Essaouira airports rests the town of Imsouane. Here in this remote and idyllic community, you’ll find a gaggle of surfers and fishermen hanging easy by the sea. This record setting conveyor belt system can even be seen from space. Morocco's Argania trees are infested with nut-hungry goats. The oldest known university in the world is in Fez, Morocco. When one thinks of Morocco, it is the image of exotic souks, the Sahara Desert, and camel riding that comes to mind. 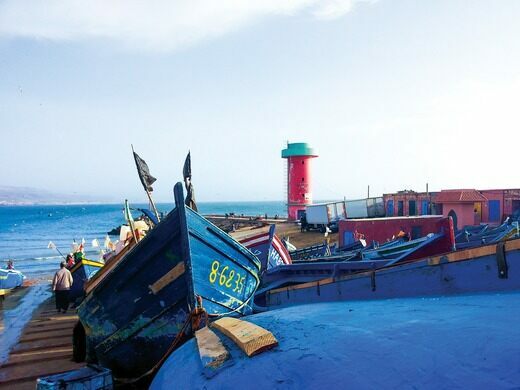 Surfing, eating fresh-caught fish, and finding a California-esq surfer community are a surprise found in Imsouane, a dreamy town by the sea, hidden by the mountains. Imsouane is a haven for surfers who come to La Catedrale (a beach-break surf spot) and La Bay (a point break wave) to catch some serious rides. 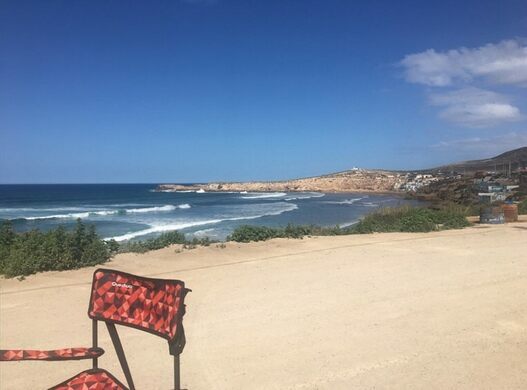 La Bay is known for having the longest waves in Morocco, proving a prime draw for the surfing community. Near La Catedrale, there are small fisherman villages where fish arrive by the boat full each morning to be sold at market and grilled for diners. This fish market is open for visitors. If you visit in the early morning, you will be able to buy fresh fish for really cheap and either cook it yourself in your hotel or Airbnb, or give it to local restaurants to cook it the way you like. Locals like to grill it with sea salt. 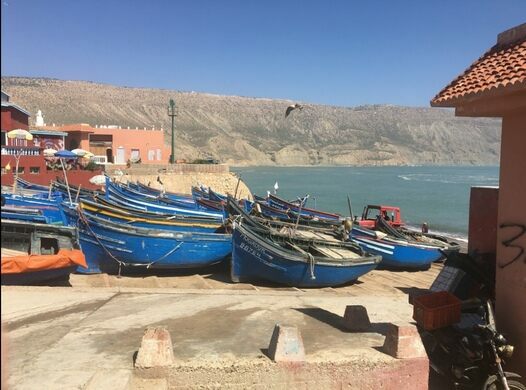 Being one of the cleanest beaches in all of Morocco, Imsouane is a draw for its pristine setting, waves, and local culture. Because of its remote location, getting to Imsouane can be tricky. Reaching Imsouane is best done by car. 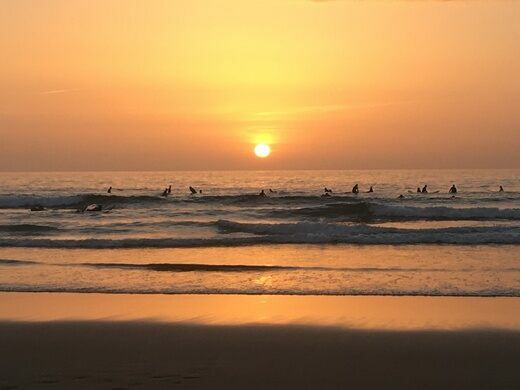 It takes about an hour and a half to reach the surfing town from the city of Agadir. Taxis are available as well, although a taxi ride from Agadir to Imsouane will set you back about $85 to $100 USD. Some travelers are known to hitchhike to Imsouane, although this should be done with extreme caution. From Marrakech, travelers can catch a bus for $8 to $12 USD and travel three hours to Agadir, and from there rent a car or taxi to get to Imsouane. Once arrived at Imsouane, there are plenty of affordable hostels as well as surf camps and lessons to choose from. 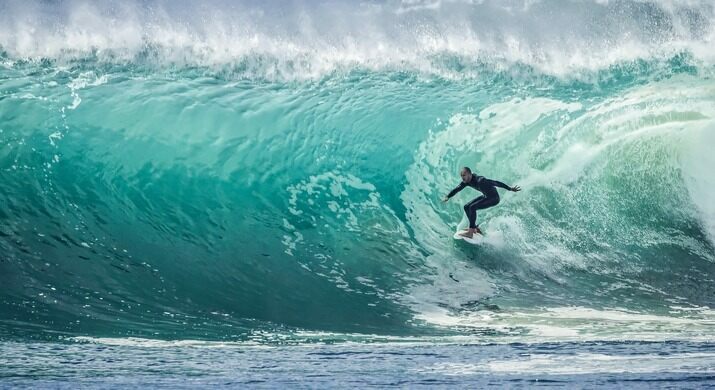 Many wellness retreats that combine surfing and yoga are available to travelers as well. The remains of a magnificent medieval fortress that was the capital of a vast empire. This deceptively beautiful island was known as "Death Island" and home to a German concentration camp. Ten shipwreck-shaped chalets lie along the sand dunes on Namibia’s Skeleton Coast.